Président Cheese, part of Groupe Lactalis, was founded in the beautiful Loire Valley of Laval, France. As Europe’s leading specialty cheese and butter brand, Président inspires culinary lovers around the world with their 75 years of expertise. In the United States, the brand is perhaps best known for their rich and creamy Brie—which, to no surprise, just so happens to be the #1 Brie in France. So the bar was set pretty high when we partnered with Président’s North American advertising agency Solve to design and develop a brand new website. 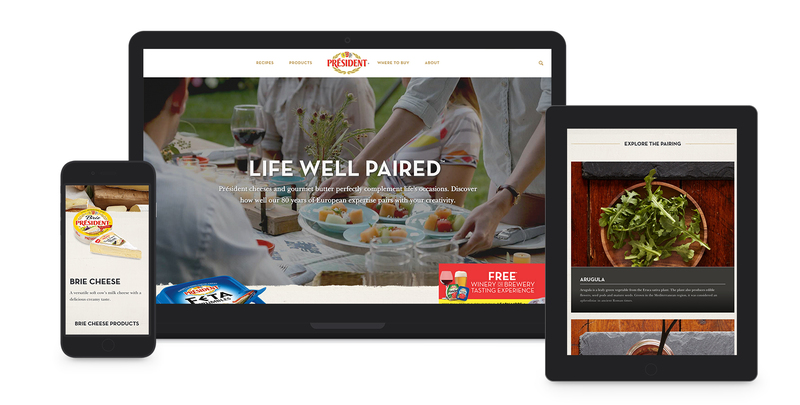 Our mouthwatering opportunity was to migrate three distinct digital experiences that were created over the years and bring them to life in a brand new responsive site. The goal? 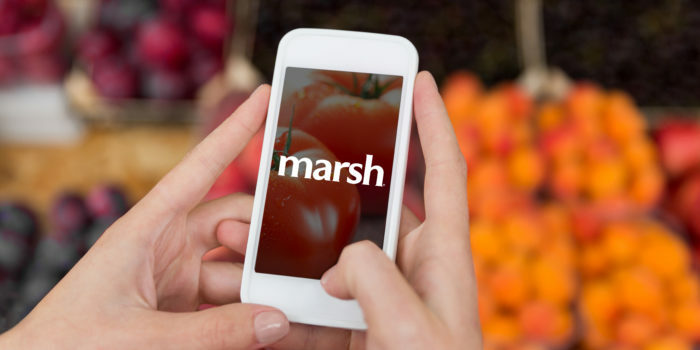 Make it incredibly easy and inspiring for foodies to find product information and adventurous recipes—and just as easy to find a store nearby. 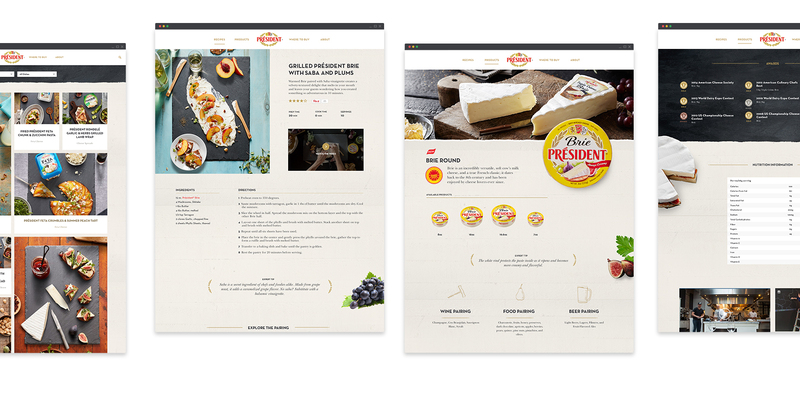 Diving right in, we took inventory of Président’s company website, a campaign microsite and the Art of Cheese—a blogger and social-driven recipe site. 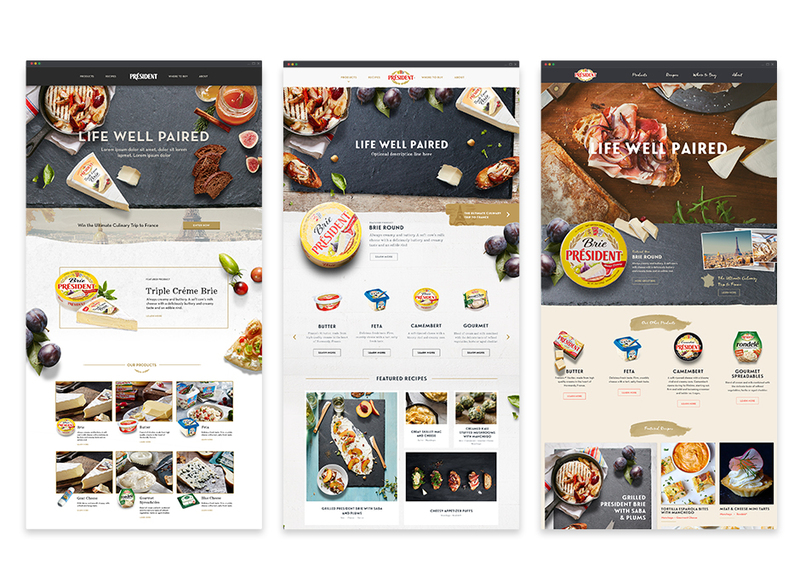 Extensive content mapping exercises created an optimal mix that whet our audience’s appetite for adventurous pairings and, in just one click, pointed them to a retailer. Our design team integrated Président’s “Life Well Paired” creative platform into the visual exploration process from the get go. From mood boards to responsive wireframes, the site’s modular design is highly visual and rich in texture–the perfect way to bring the brand’s European flair to life in America. The website has a number of features built in for current and future usage. On the home page, we built an optional call-to- action feature to be used for promotions or campaigns. 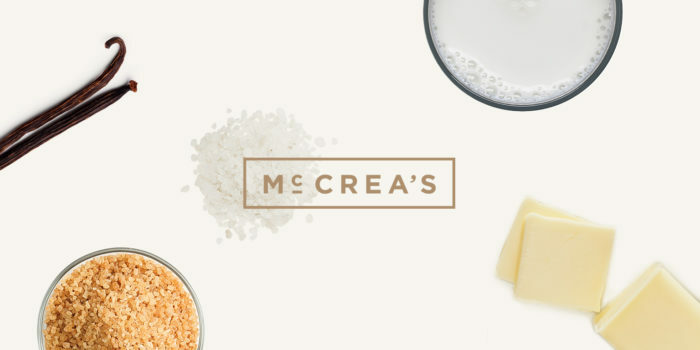 The recipes are built to expand with future content such as new videos, tips or pairings. We also made sure that the social campaigns feed into the site in various areas to keep things fresh. The responsive website development features a robust filtering option of product categories, social media feeds, and a product store locator. 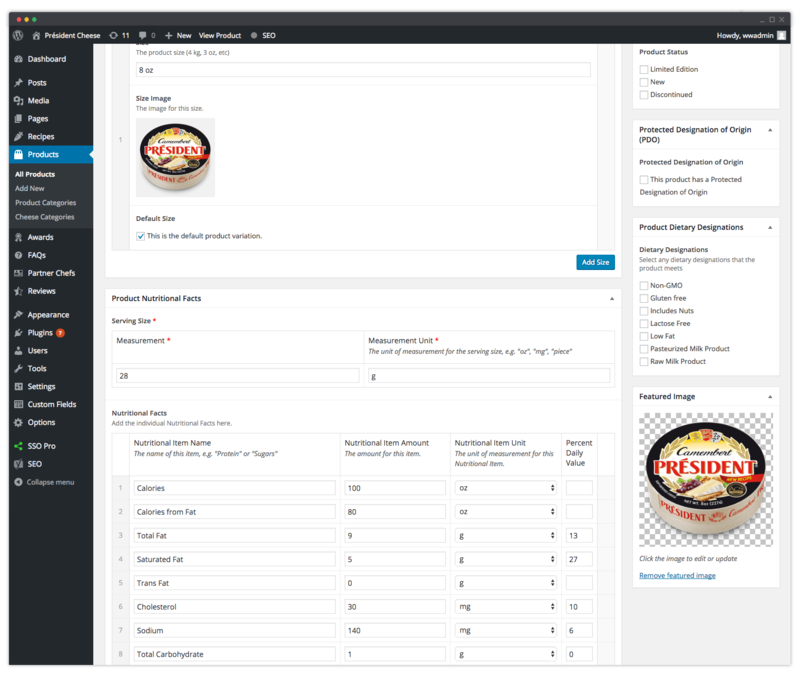 The admin editor was custom built using modules that give the marketing team the ability to create new pages on demand and customize the look as needed. Voila! Just months after launch, President’s new site has doubled it’s page views and traffic to recipes has increased six fold. What’s more, our search optimization efforts have lifted organic search traffic by 10%. Europe’s premiere cheeses and butter is pairing well with America.